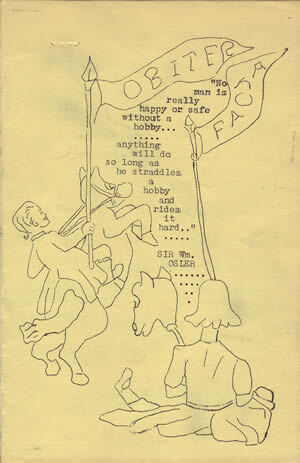 On February 6th, 1953, the Women’s Law Association of Ontario held its second annual hobby show at Osgoode Hall. 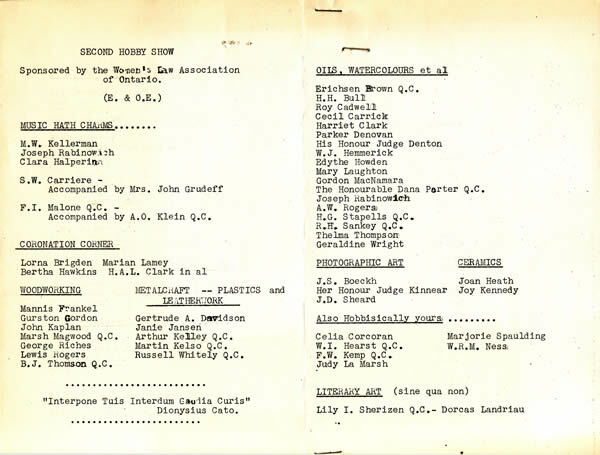 The show featured various crafts and artwork by WLAO members as well as by members of the Bar and judiciary. The Association received contributions of woodworking, metalcrafts, plastics and leatherwork, paintings, photographs, ceramics, and other handicrafts.